06 Şubat 2019 Çarşamba 10:00 - 10 reads. 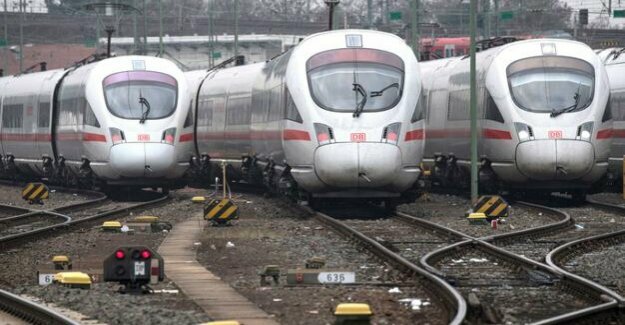 The Spanish train manufacturer Talgo has pulled a large Deutsche Bahn order in the country: For around 550 million euros, Talgo will first provide a total of 23 long-distance trains of the Deutsche Bahn, announced by both companies on Tuesday. Overall, the framework contract provides for the delivery of up to 100 trains, said a railway spokesperson for the news Agency AFP. "are to be taken The first trains per day travelling from 2023 in operation," said the spokeswoman. Used to be, therefore, on long-distance routes that are not served by ICE trains between Berlin and Amsterdam, Cologne and Westerland as well as between Hamburg and Oberstdorf. "We continued the positive trend that so many people like never before with our ICE and IC trains," said railway passenger transport Board of management Berthold Huber. In the past year, more than 145 million passengers and the railway in the long-distance trains on the way. In the previous year, there were only 142 million passengers. The Talgo trains up to 230 kilometres an hour. The order of the track includes the information that the delivery of electric locomotives and the passenger coaches.